Abstracts should be formatted in Microsoft Word and saved with the file name in the format presenting author FamilyName_GivenName.doc (or .docx) (e.g., Reboleira_Ana.docx). For multiple submissions by the same presenting author, add the number 2 (and so on) after the author name in the file name of the second abstract (e.g., Reboleira_Ana2.docx), 3 for the third, etc. Submit each abstract file in a separate email. 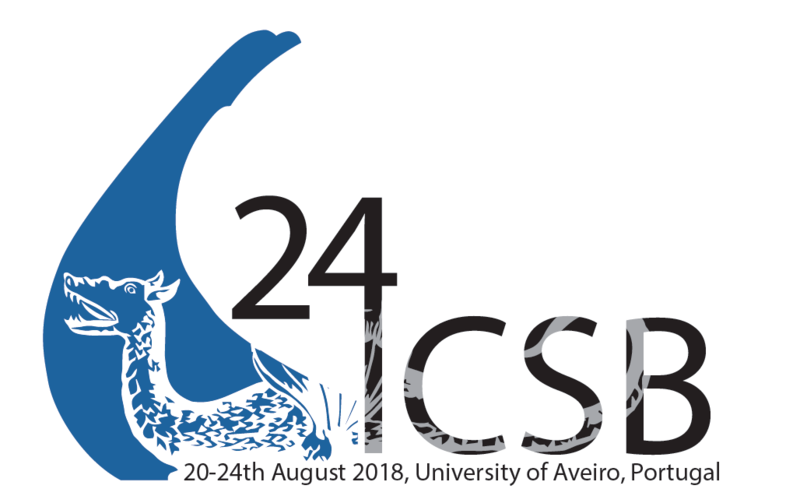 All abstracts are to be sent via email to the organisation committee at 24icsb@gmail.com with the subject line of “ICSB 2018 Abstract-Oral” or “ICSB 2018 Abstract-Poster” as appropriate. All abstracts will be reviewed by the Scientific Committee and the presenting author will be contacted via email regarding acceptance as an oral or poster presentation. If your preferred oral presentation is to be changed to a poster presentation because of time restraints in the program, you will be informed by email. The Conference Timetable will be posted to the conference website when available, and will also be emailed to all individuals who submit abstracts. Please check this timetable for your presentation. Email address of presenting author. Do not led with the word “Email”. List of all authors in the format Family Name, Given Name(s). Use entire names rather than initials. For multiple authors separate each author name with a semicolon (;). Do not use the word “and” before the name of the last author. Indicate presenting author with an asterisk (*). Use superscript numbers to differentiate authors with different addresses. List of author addresses. Use a separate line for each author in the order of the superscript numbers given in the list of authors. Begin each line with the appropriate superscript number. Do not use abbreviations but spell out all words, including state or province names and country names. Each accepted abstract will be published with a doi number. Please follow the instructions to submit the accepted version of your abstracts to the ARPHA platform: Submitting Instructions_ARPHA Conference Abstracts_ACA. The posters should be uploaded as supplementary materials.